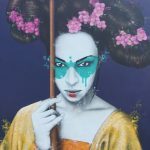 As stated on our last Fin DAC post, the Irish artist assured us that his street work for 2017 was about to increase… so here he is with what he thinks may be his largest mural to date. 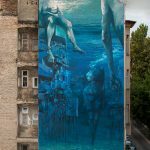 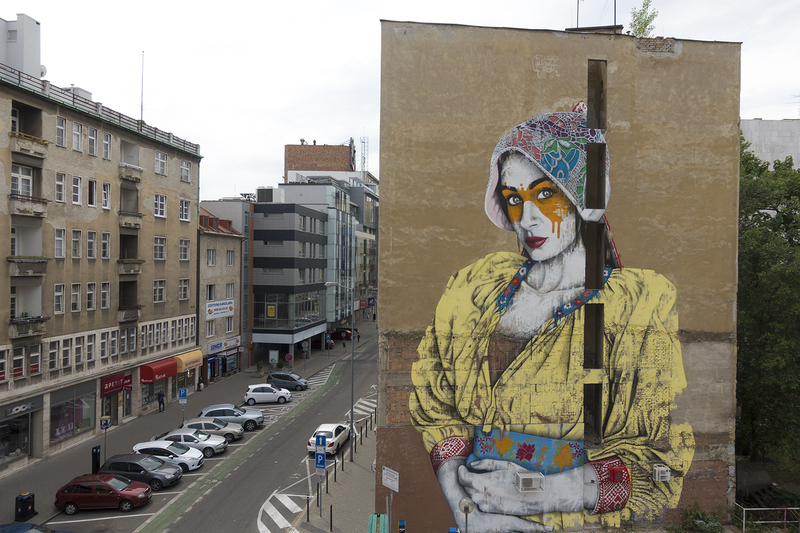 ‘Veľké Oči’ was painted over the course of 5 days for the annual Bratislava Street Art Festival where he was attending along with Cart One from France and Fat Heat from Hungary. 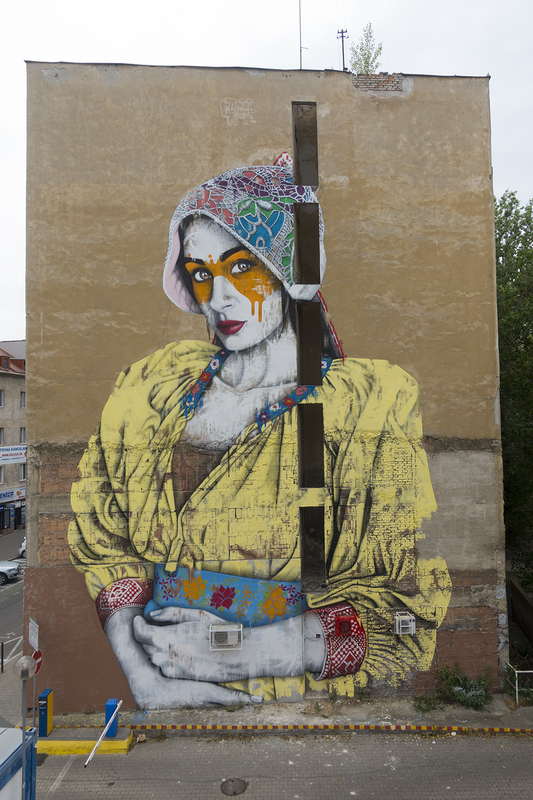 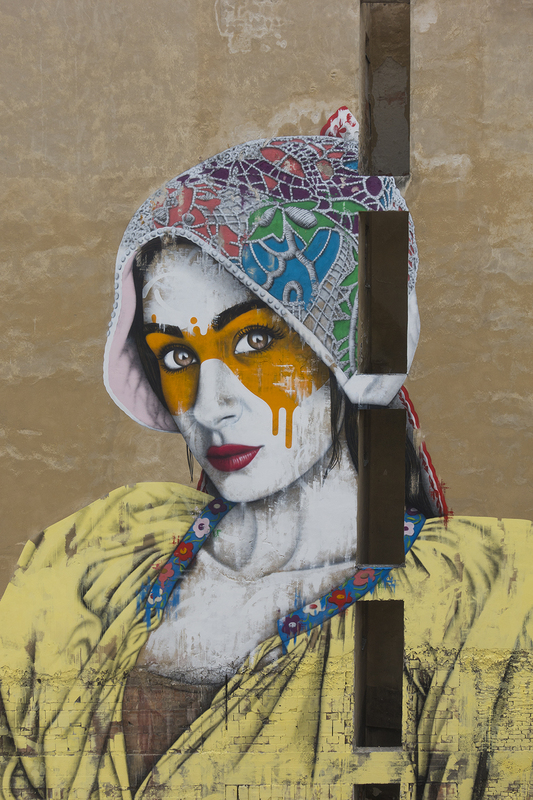 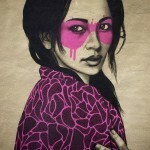 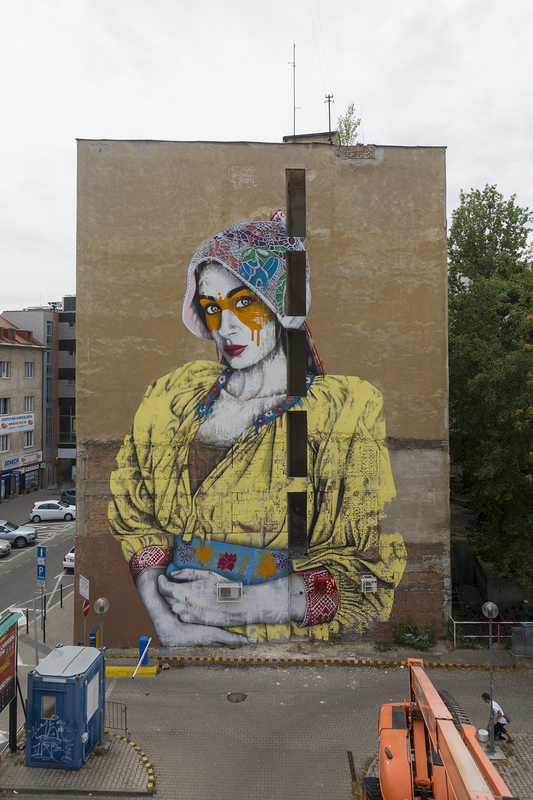 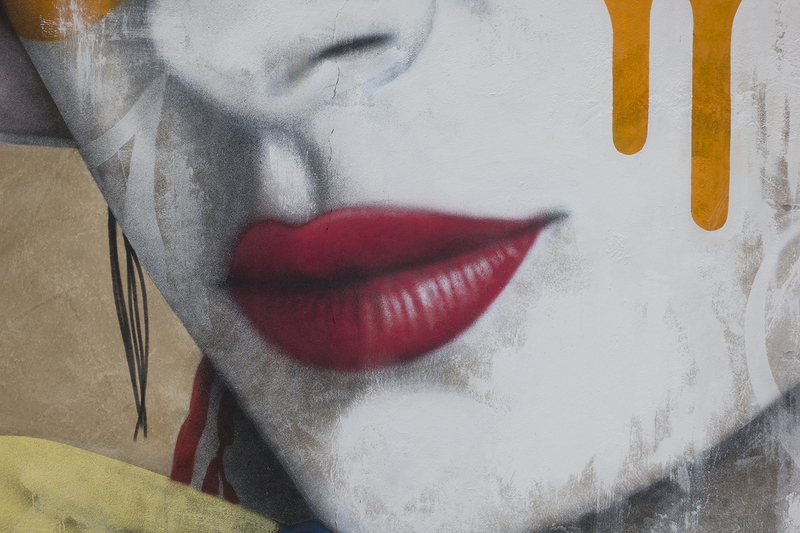 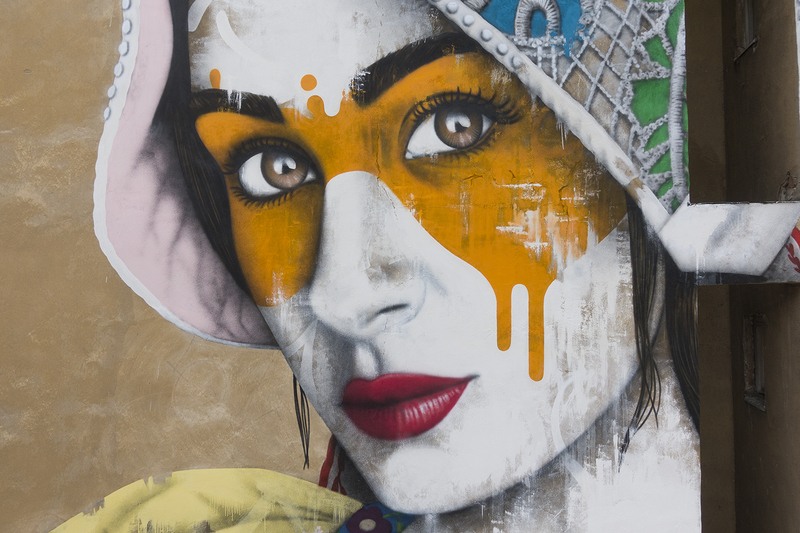 The piece continues his quest to allow the location or even the wall itself to dictate what should be painted and how and also to try and incorporate local traditional clothing as well as the face of a local girl instead of his more recognisable asian-themed work. 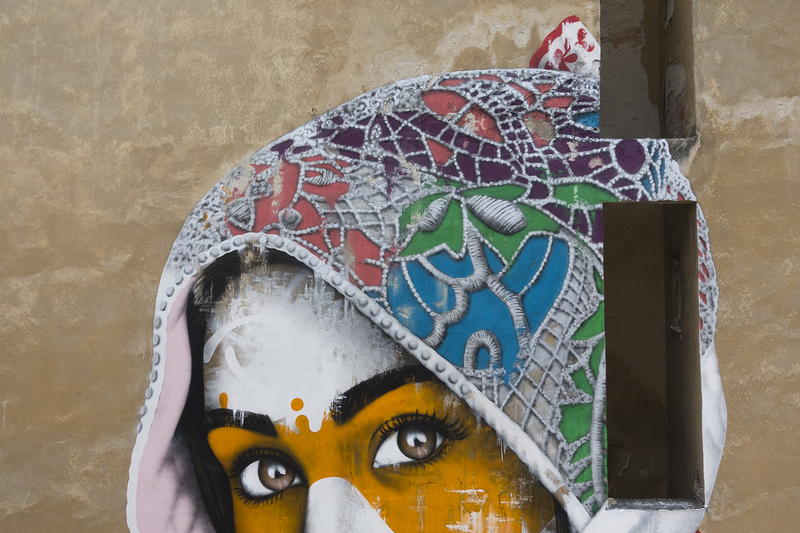 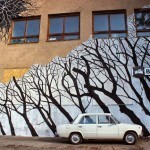 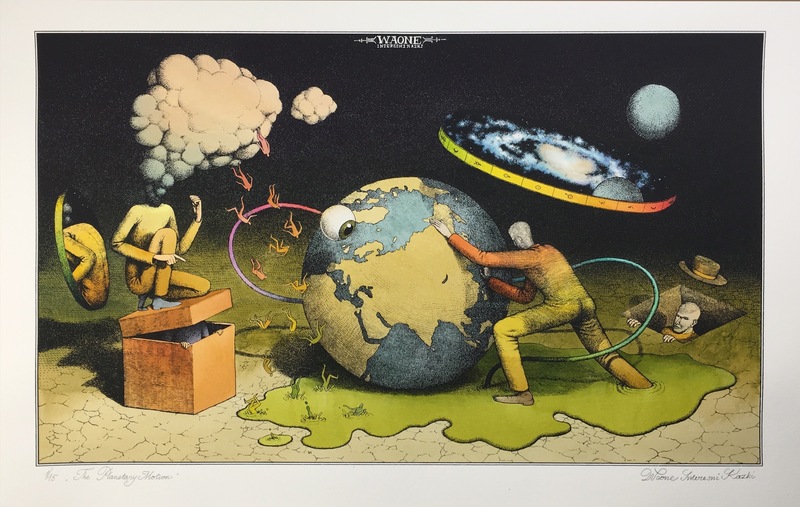 The piece can be found at Kamanne Namaste, just a few minutes walk from the city centre.